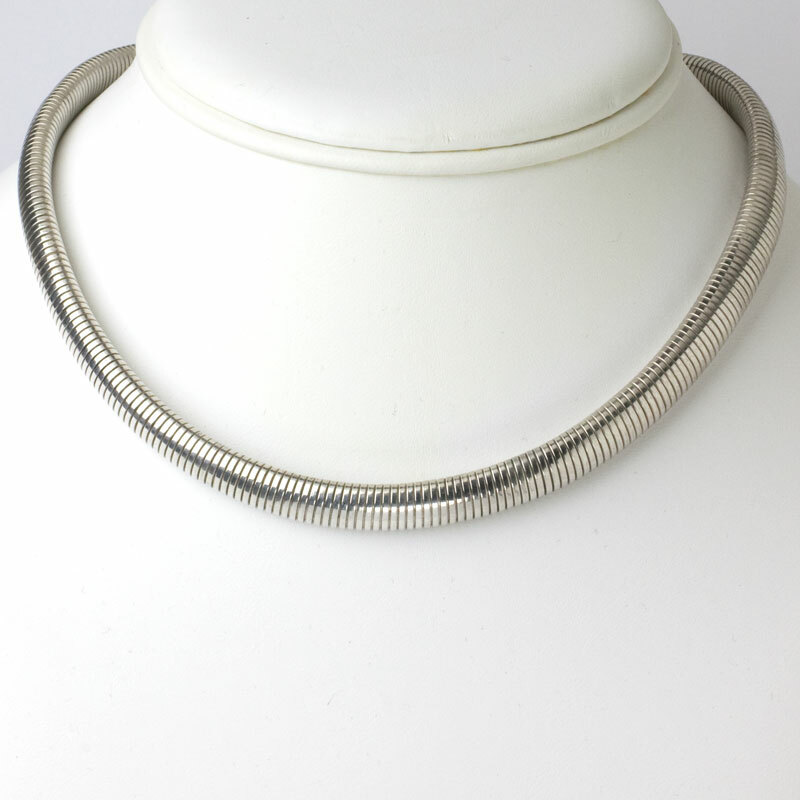 This sterling silver choker by Walter Lampl was the height of style in the mid- to late-1940s. The simplicity of this piece makes it wearable with almost anything. This well-constructed necklace closes with a concealed clasp. This choker was made for a slim neck, even though the construction allows for a bit of stretch. Please note the length (14 1/2"), and measure your neck before making this purchase. 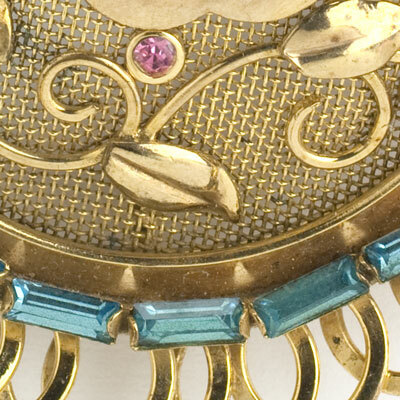 This necklace was advertised in the May 1947 issue of The Jewelers' Circular - Keystone (a trade publication). I wrote a blog post about two stars who wore this style of necklace in 1940s films – read it here. Cate Blanchett wore a gold version in the 2015 movie Carol. After seeing the 2019 Oscars, I was inspired by Amy Adams' red-carpet look to add a Marcel Boucher brooch to this necklace, as shown in the last photo. 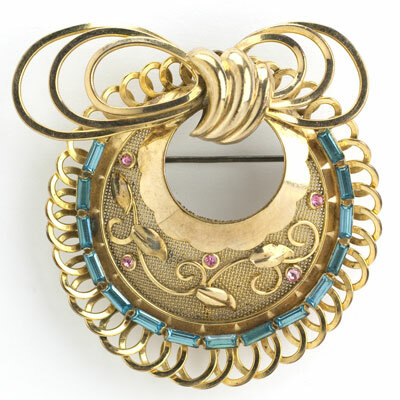 Scroll down to see this brooch as well as a gold flexible bracelet by another maker.